Chippewa Lake Park opened in 1878 at Chippewa Lake, OH, USA. It was a highly successful park for 100 years. It sadly closed in 1978 due to low attendances. 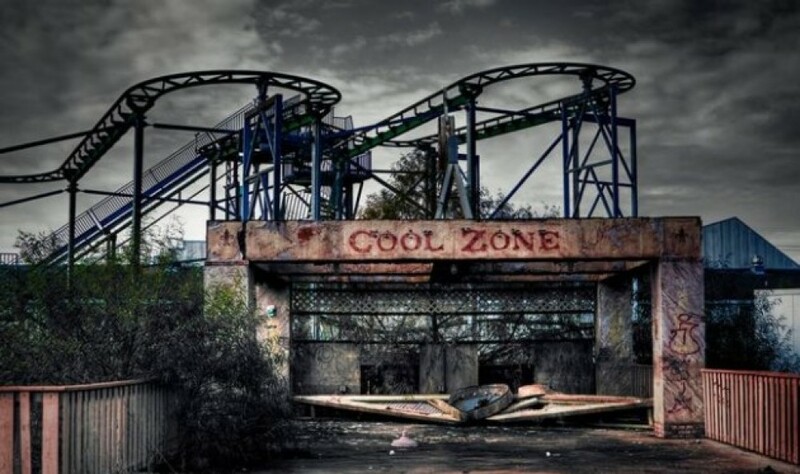 After the park was abandoned, the Big Dipper, like many of the other rides, began to deteriorate and was overrun by mother nature. 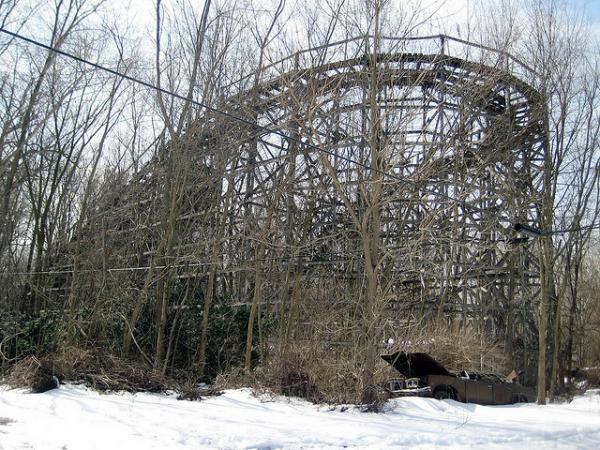 Can you see the old car just below the roller coaster frame? It really adds to the whole sense of abandonment.